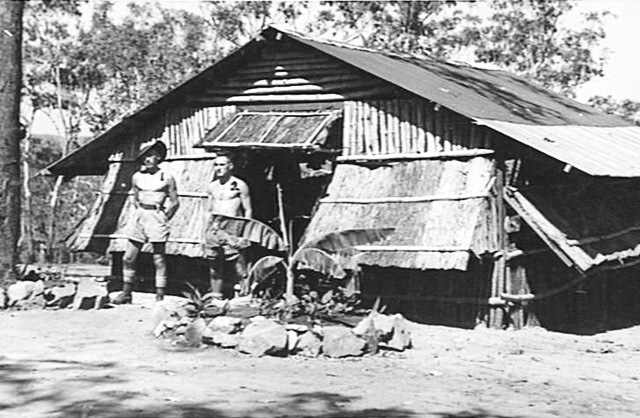 Same location at 53.5 Mile in 1944 with hut in the background constructed of cycad, sand palm trunks, dried spear grass, paper bark and corrugated iron. 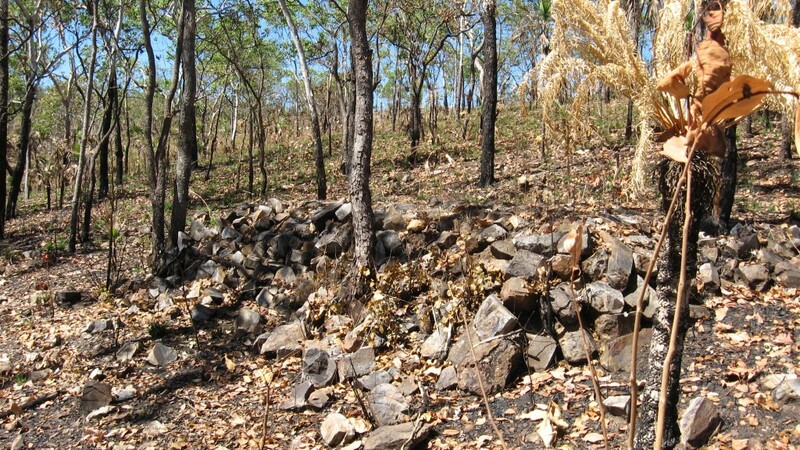 The rocks have not been moved in over 70 years. AWM067772 – Copyright expired – public domain. 53.5 Mile is located close to Coomalie Airfield and was home to the 43rd Infantry Battalion (colour patch top) from mid 1942 and to the 16th Infantry Battalion (colour patch bottom) from mid 1943. Still located on the ridge the camp site is situated on the same ridge line as 51, 49 and 48 mile camps and offers good views of the surrounding landscape. 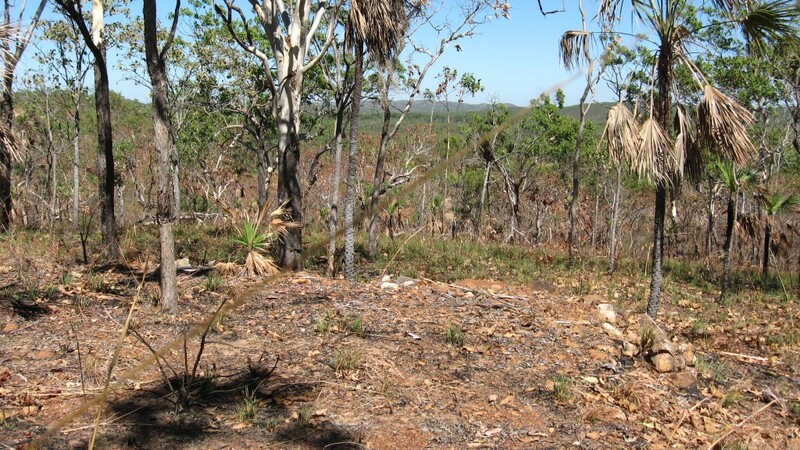 An old road is located on top of the ridge line and extends back towards 51.5 Mile Peg. The site contains many tent terraces, concrete foundations, shower areas, latrines, washing areas and banana palm garden areas. 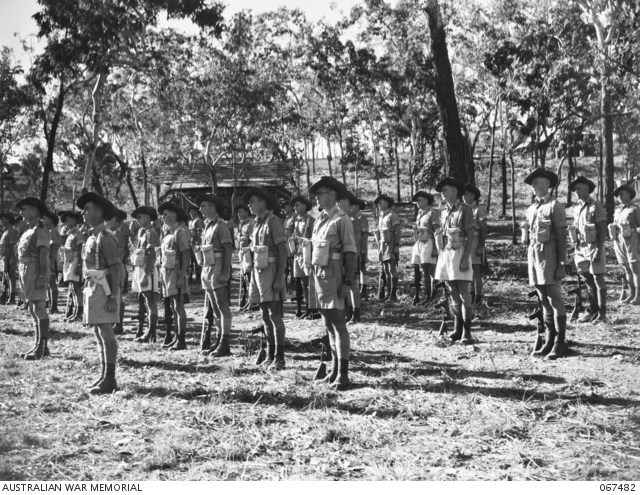 On a personal note, a relative of the author served as a Warrant Officer II in the 43rd Battalion in the days following the bombing of Darwin in 1942 before he volunteered for AIF service eventually joining the 27th Battalion. WO.II. W.H. 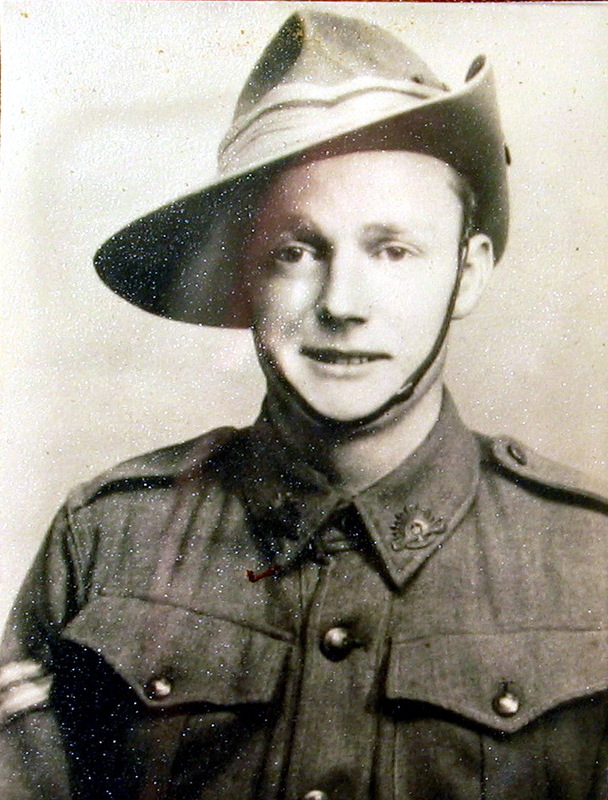 Taylor (SX21757) of 43 Battalion. According to their war diary, the 43rd Battalion first occupied 53.5 Mile on the 1st of May 1942. In correspondence with orders issued by Major General Herring GHQ 12 Div, the unit occupied a diamond defensive formation across the site and started to clear fields of fire, taking care not to cut down too many trees as this would alert enemy air reconnaissance to the location of a military formation. View from a tent terrace looking out in the direction of Batchelor. Complimentary spear grass in foreground. Soldiers of the 16th Infantry Battalion equipped with pattern 1937 webbing. In the background can be seen the buildings and tents on the slopes of the many hills in the area. AWM067482 – Copyright expired – public domain. A well constructed tent terrace facing north in the direction of 51.5 Mile. Privates G.E. Lyons and H.E. 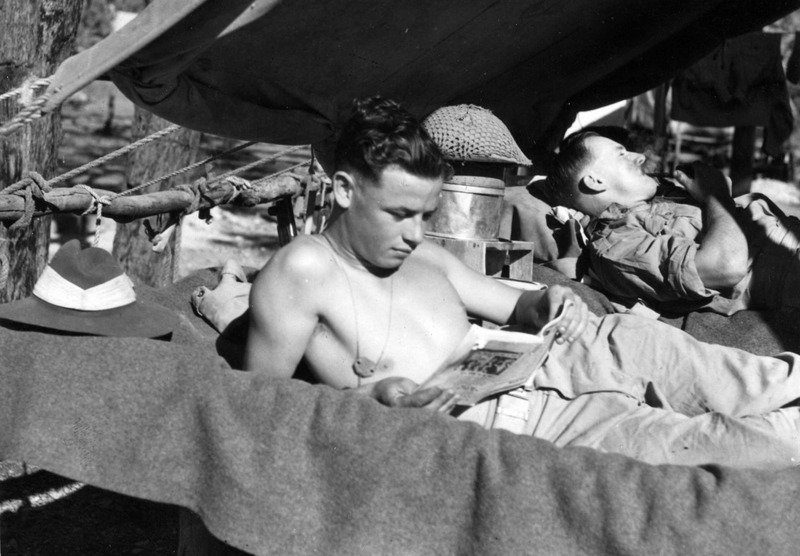 Walters of the 16th Infantry Battalion, 53.5 Mile, relaxing in their tent. 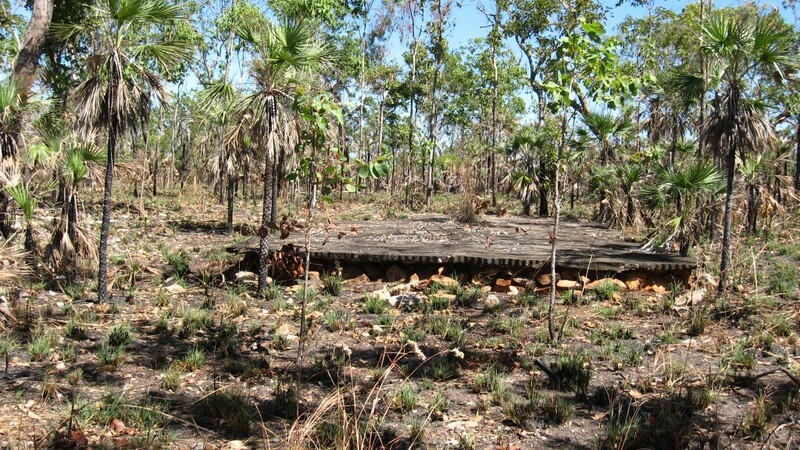 Many of the concrete foundations located at this site are in poor condition. 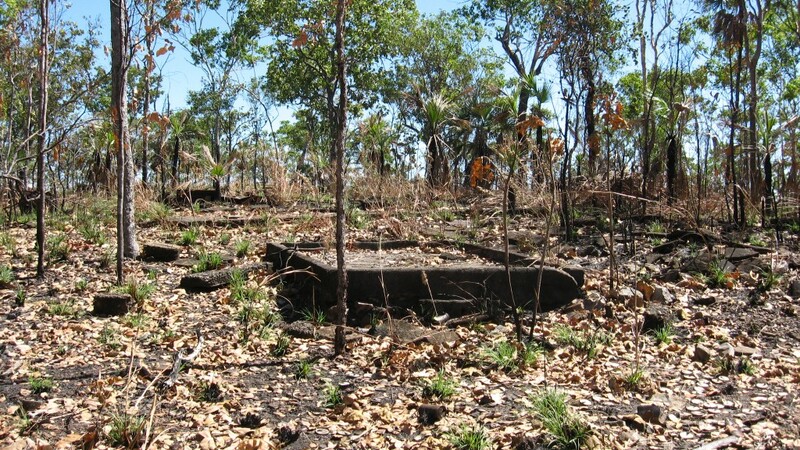 Most were constructed using thin layers of concrete spread evenly over rock bases and hence have not survived intact. Sand palms growing through the foundation of this building site. 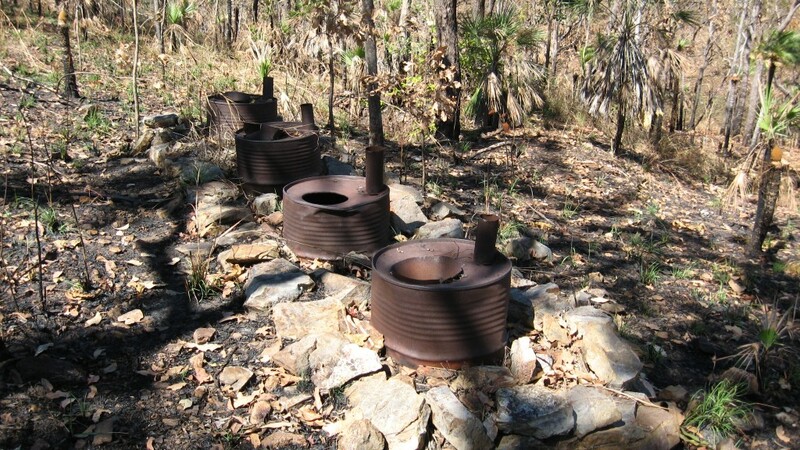 A row of “thunder boxes” at the southern edge of the camp site. 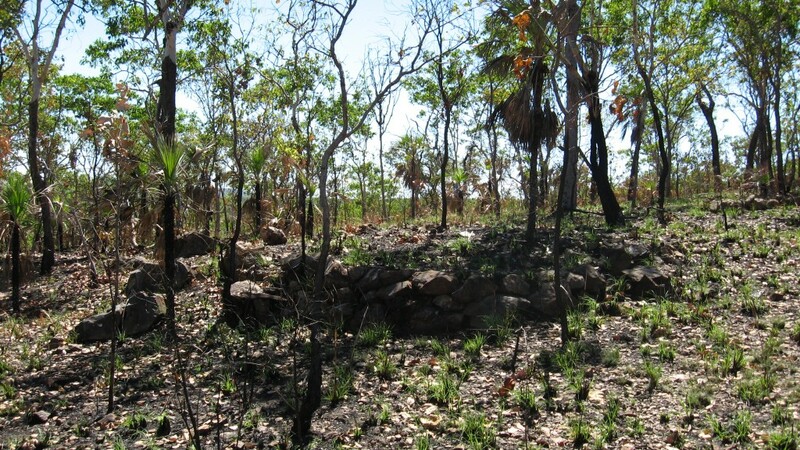 Note how foundations have been constructed for these latrines using local rock. A different design is employed with this set of latrines. 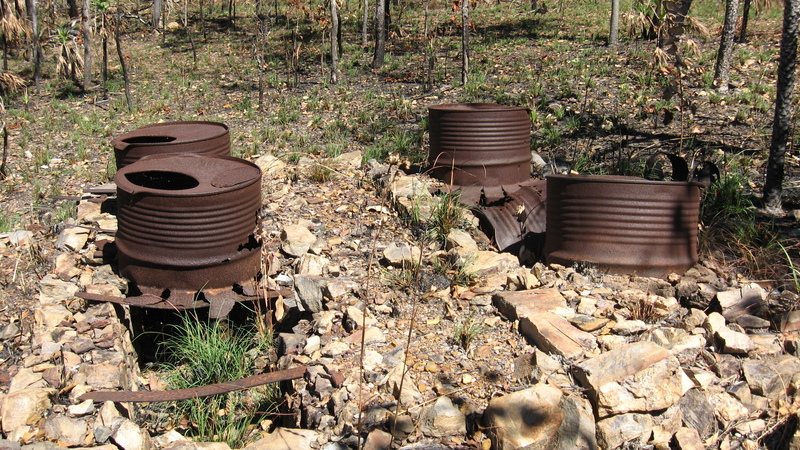 Each 44 gallon drum sits over a trough and waste is then collected from steel doors at the opposite end of the structure. Opposite end. Note the steel door. 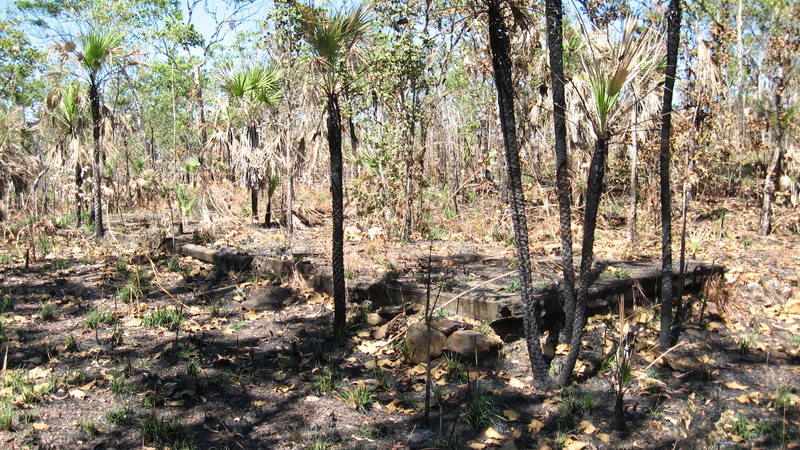 Shower foundation located on top of the ridge line. 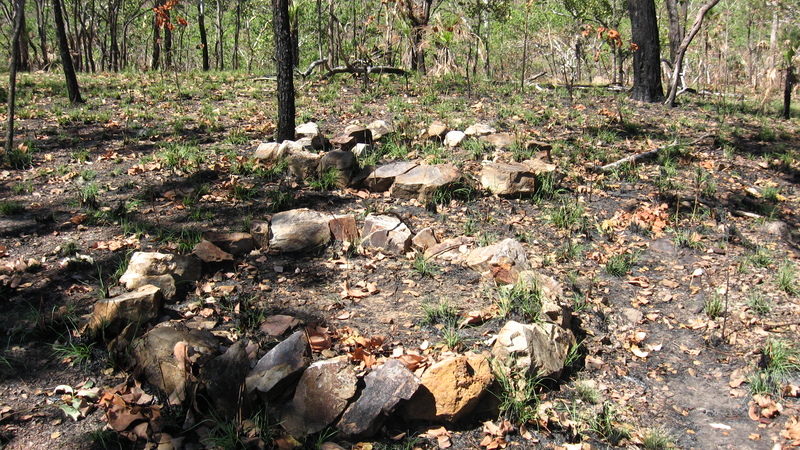 Garden bed encircled by local rocks. Soldiers were encouraged to grow Banana’s and pineapples wherever possible in order to supplement the standard army rations of bully beef and tinned salmon. 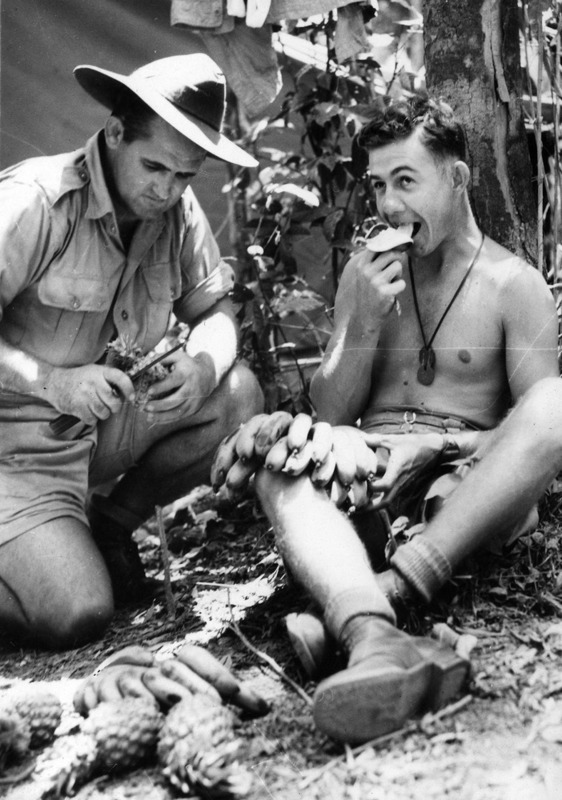 Two soldiers enjoying a feed of banana’s and pineapples, NT, 1942.